Please take a moment to register your iPad with us! To do so, simply open the ArtScroll Digital Library App while connected to the internet. Tap on Menu > Store > My ArtScroll Account. 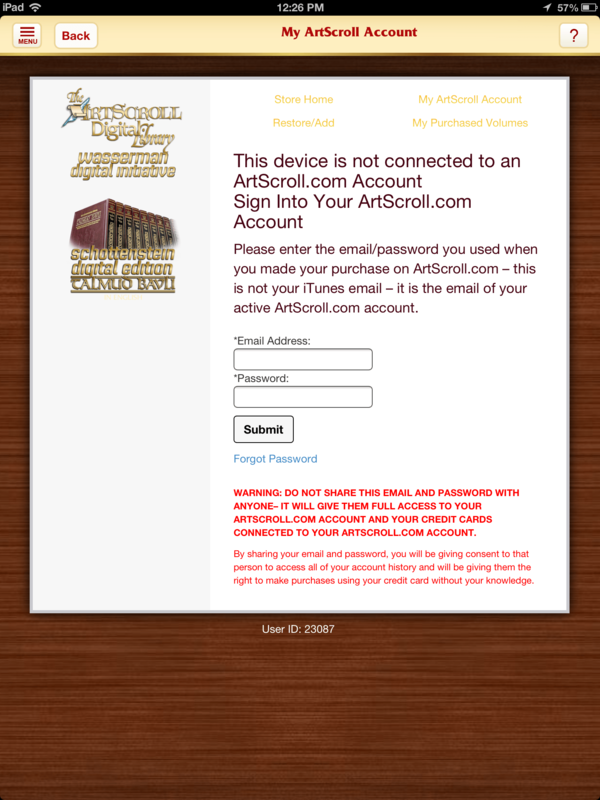 Log in with your Artscroll.com email and password. If you do not have an existing account, please visit our website at artscroll.com and create one today!